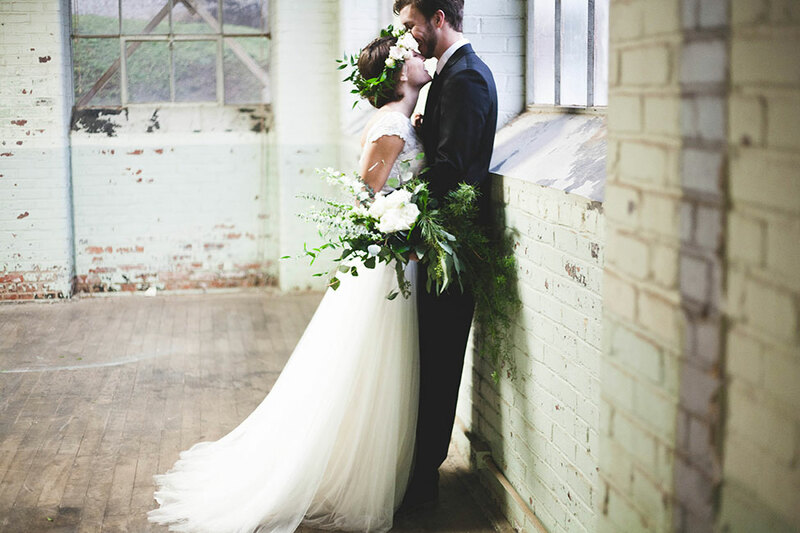 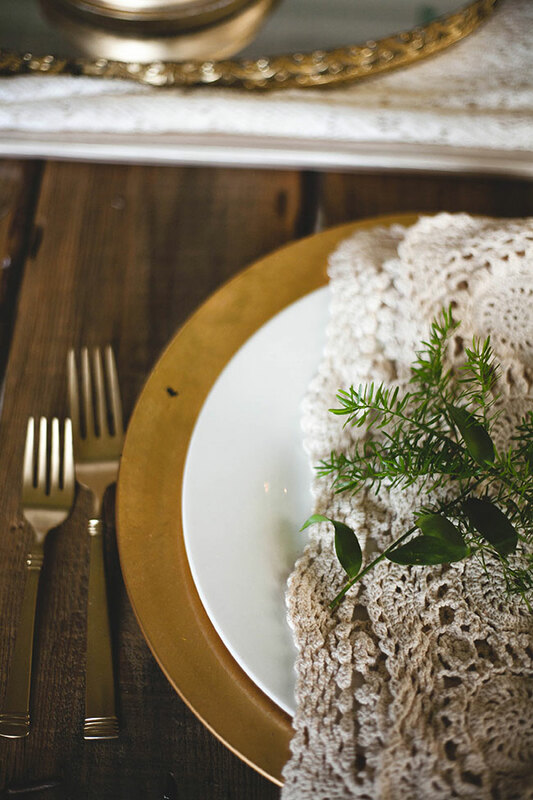 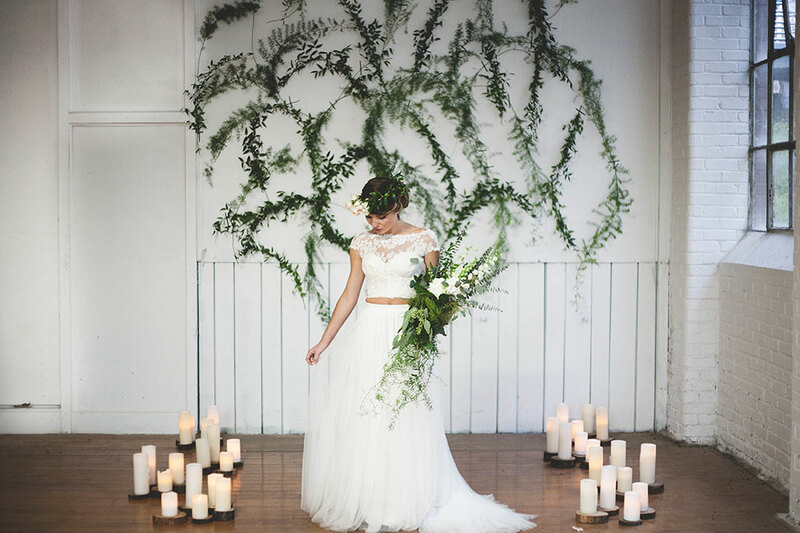 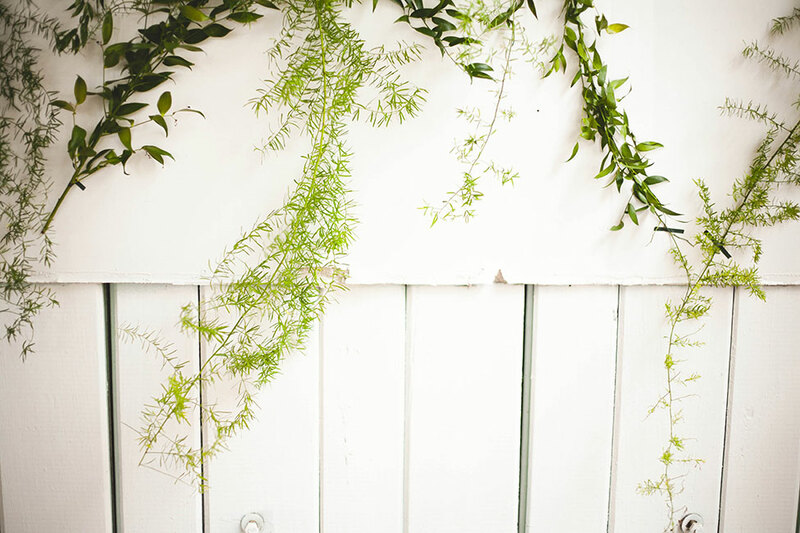 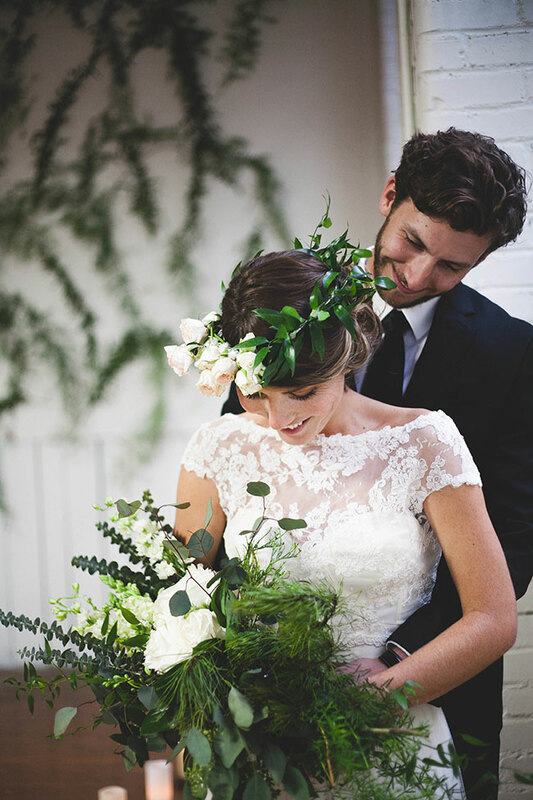 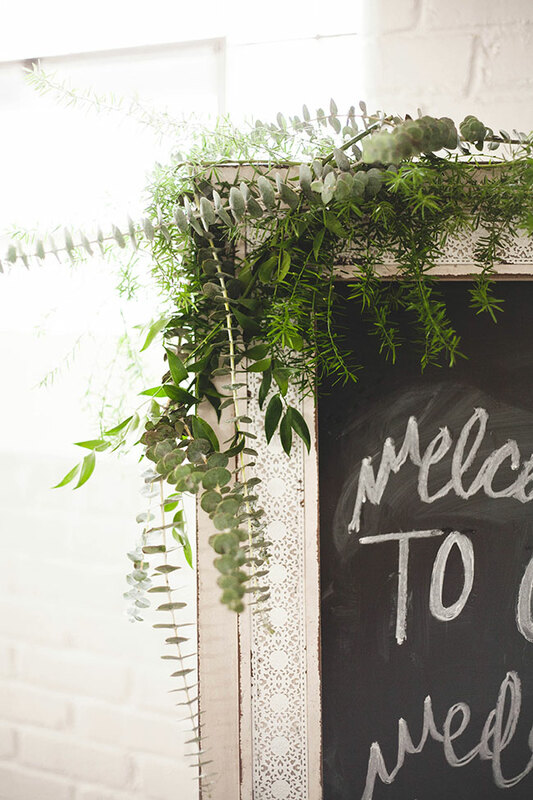 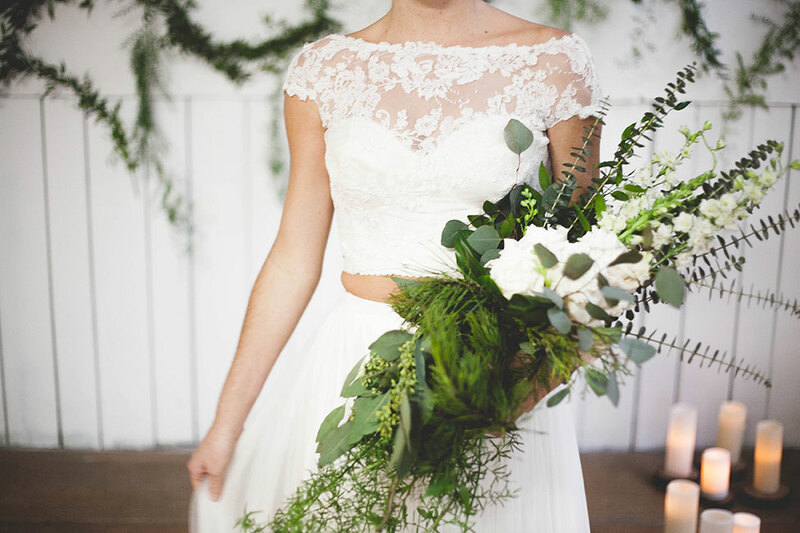 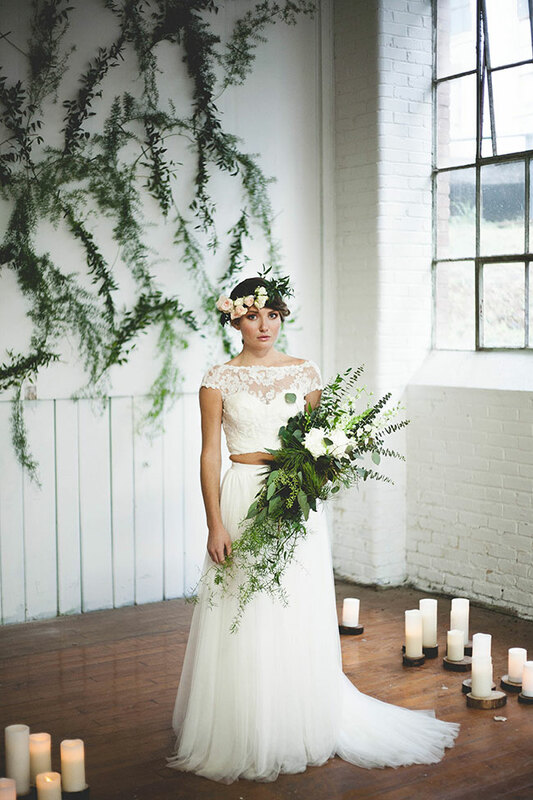 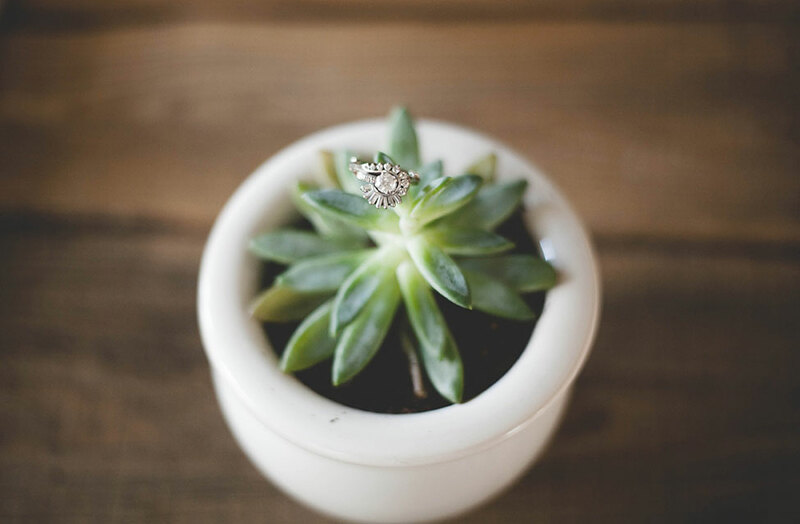 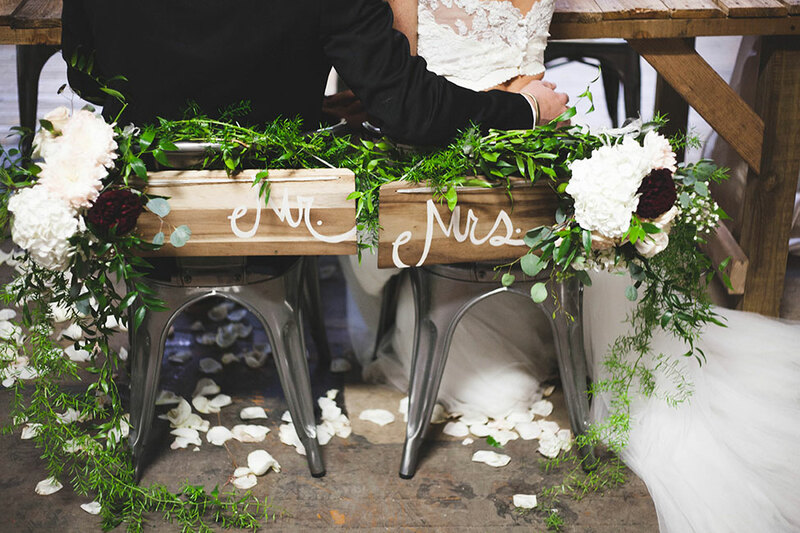 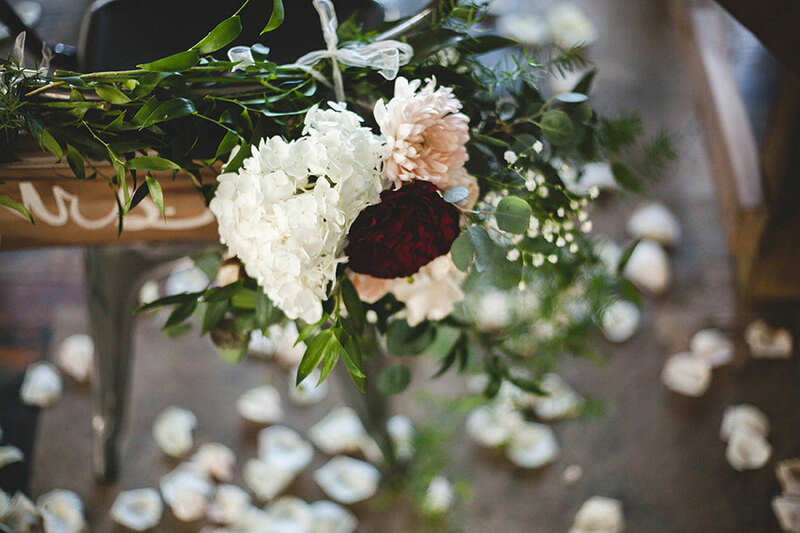 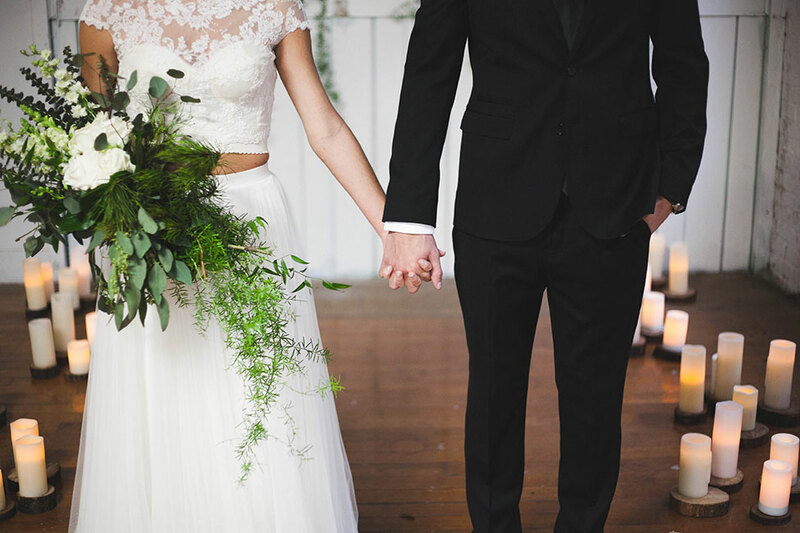 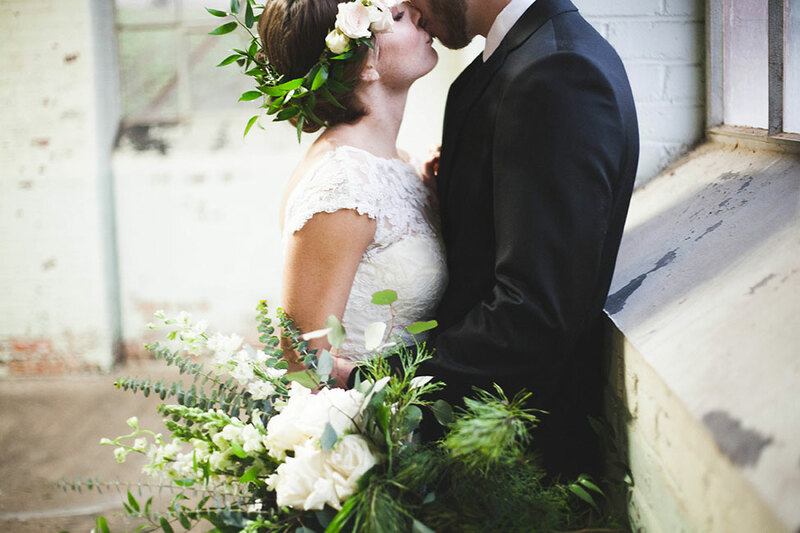 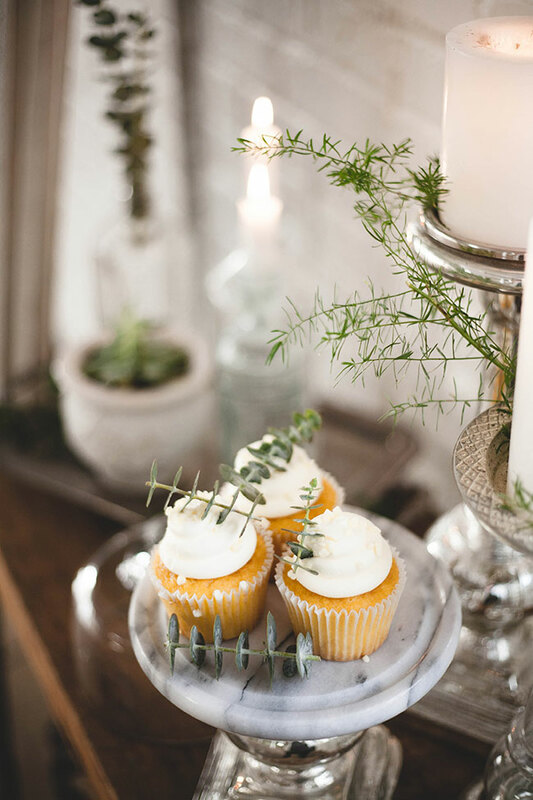 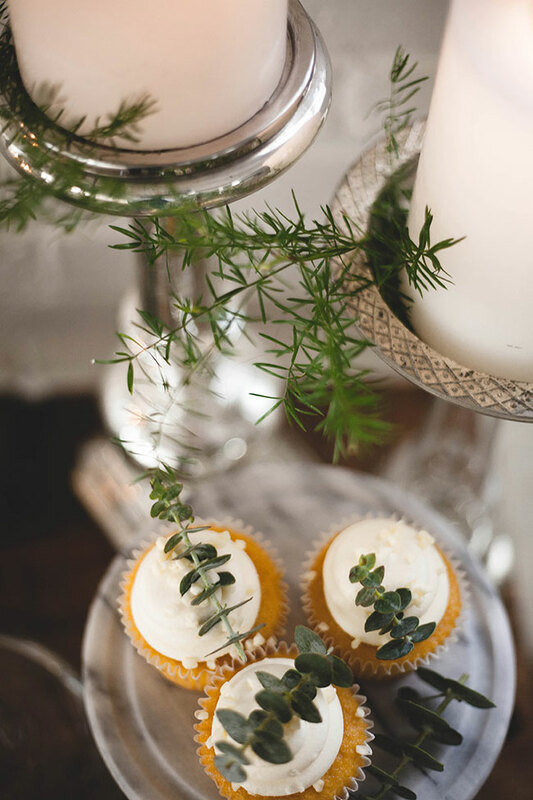 Today’s feature from South Carolina florist and wedding designer Culpepper Designs is pretty much a checklist for what I am loving these days. 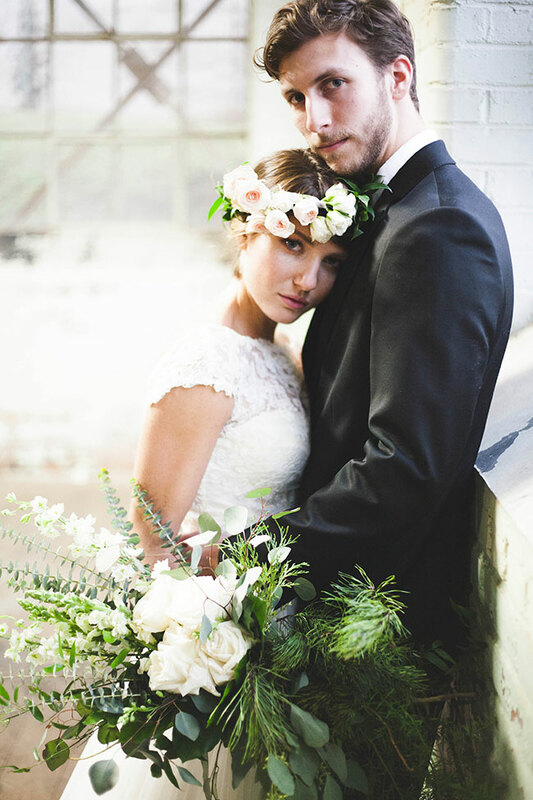 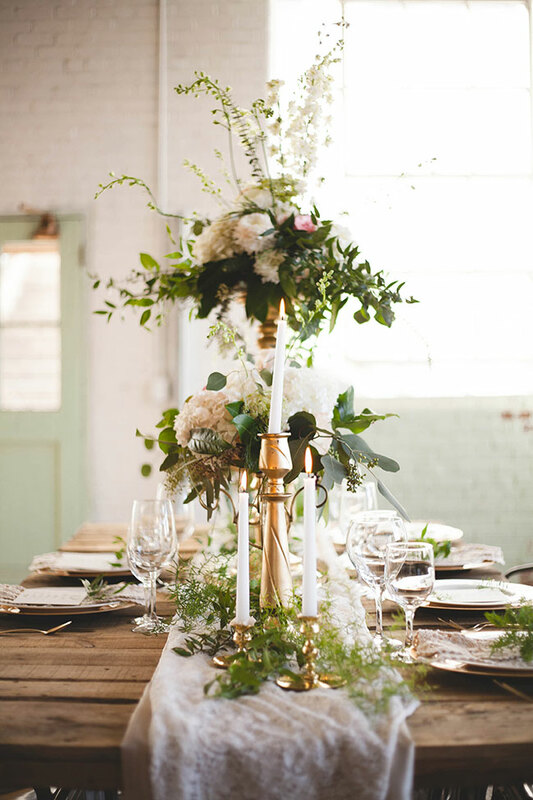 Gorgeous white washed industrial locale, generous overflowing floral arrangements topped heavy with lush greens, a slightly boho feel, all done with a chic refined hand! 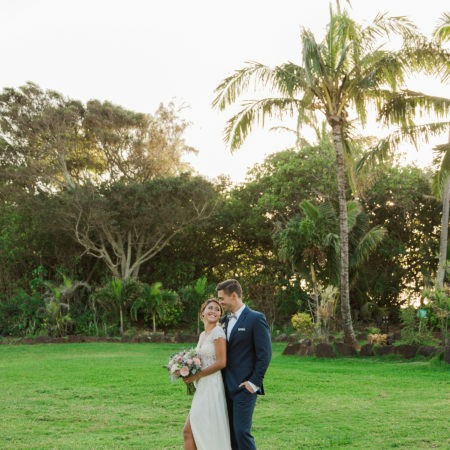 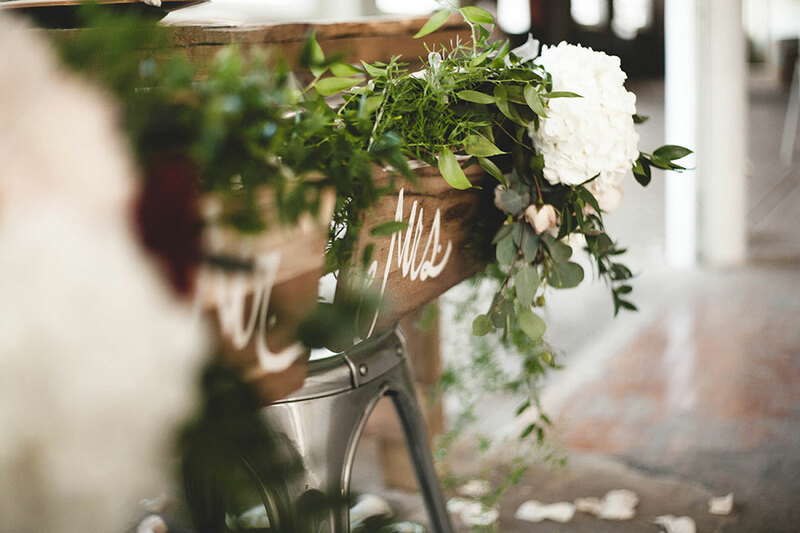 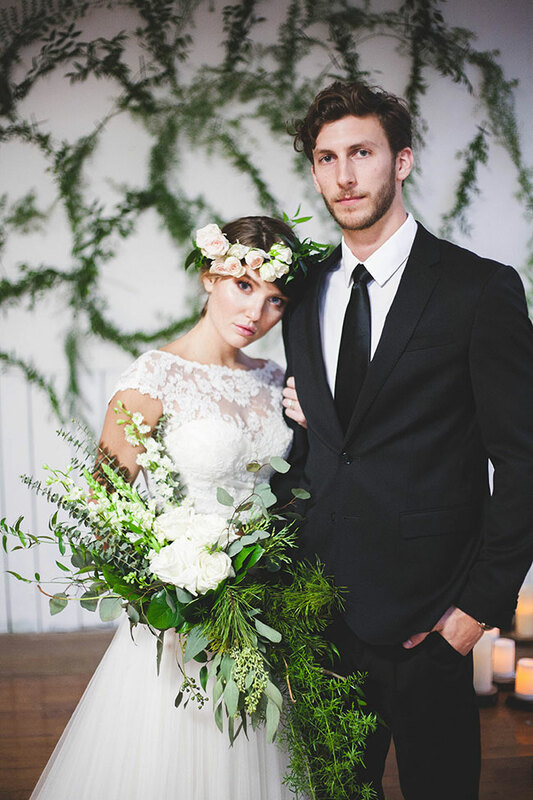 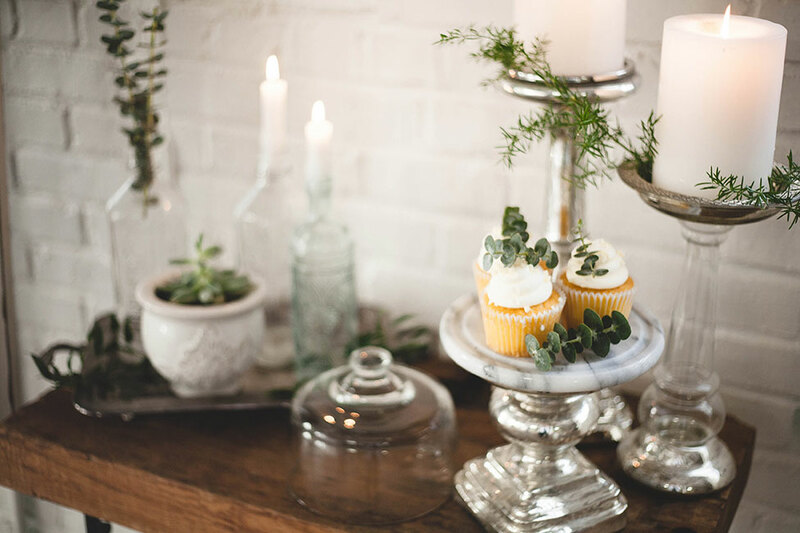 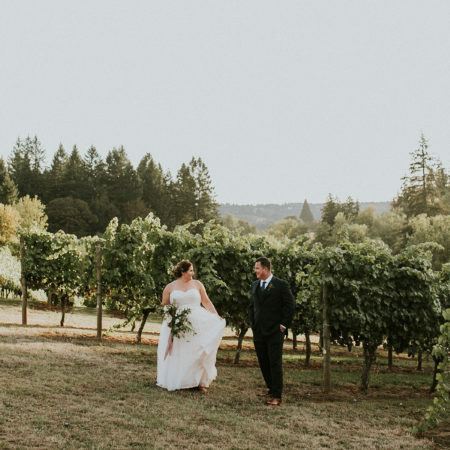 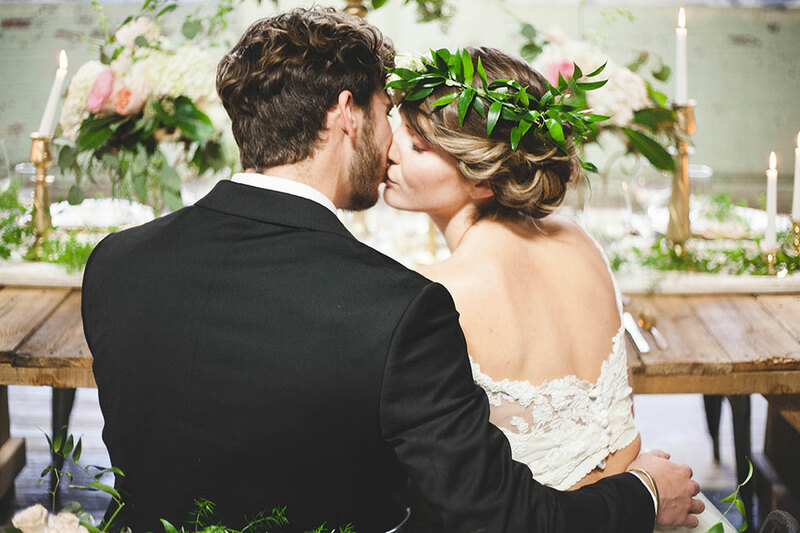 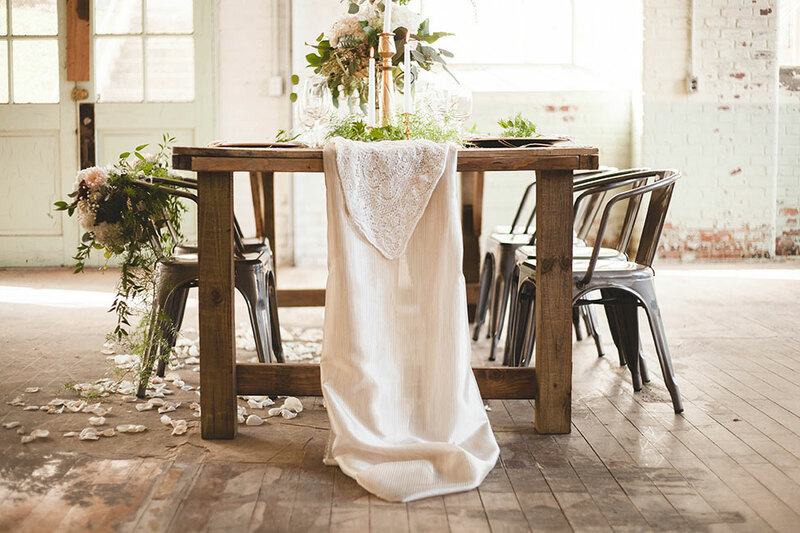 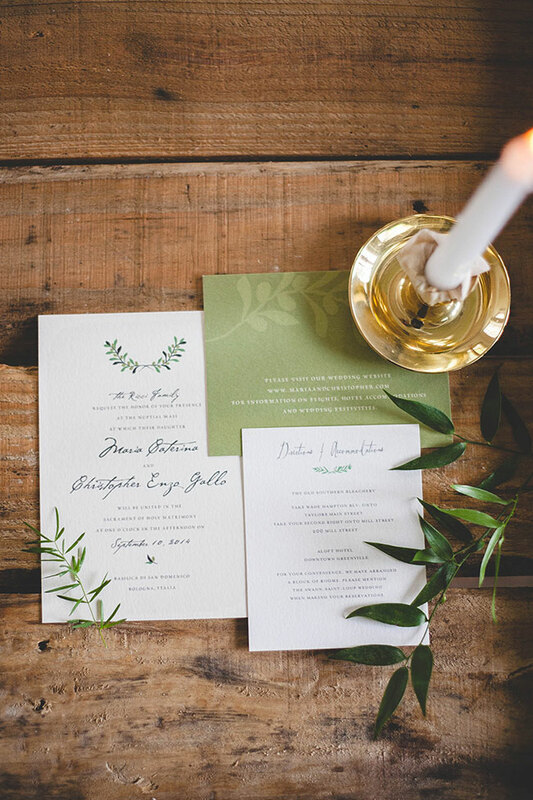 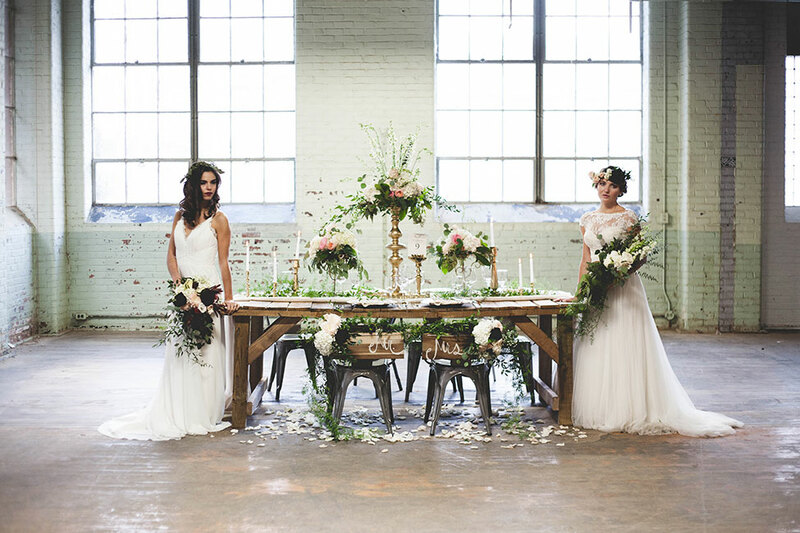 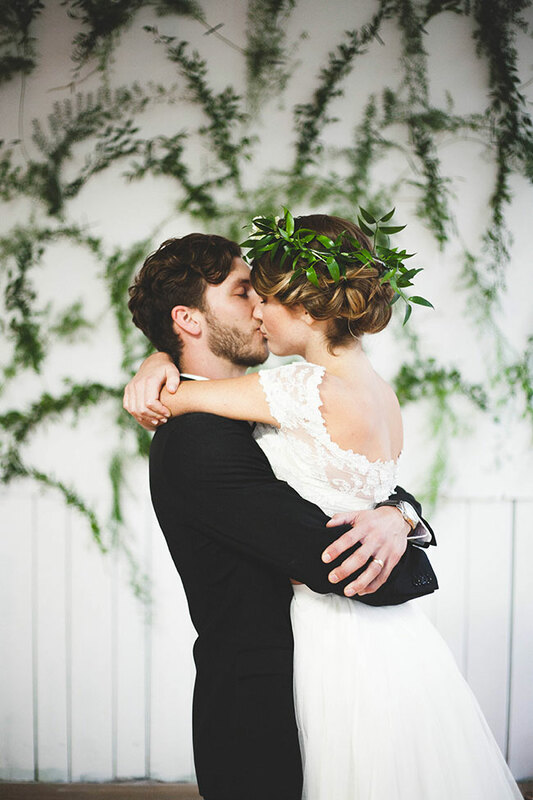 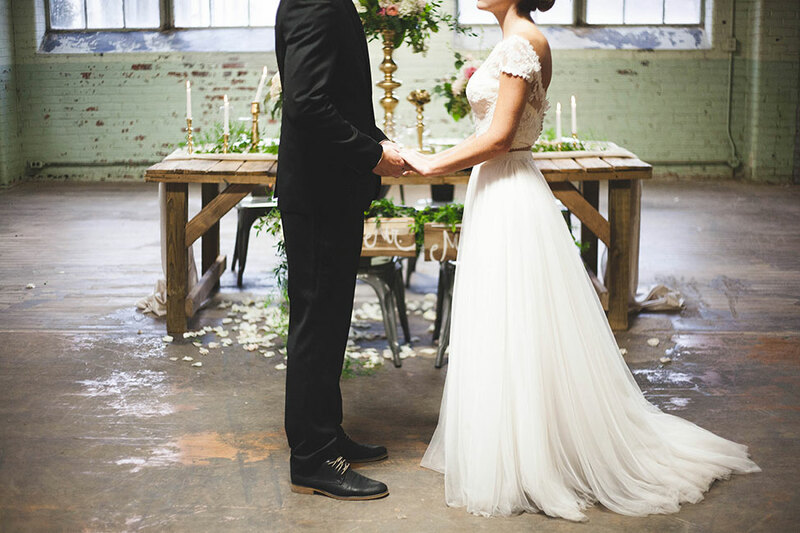 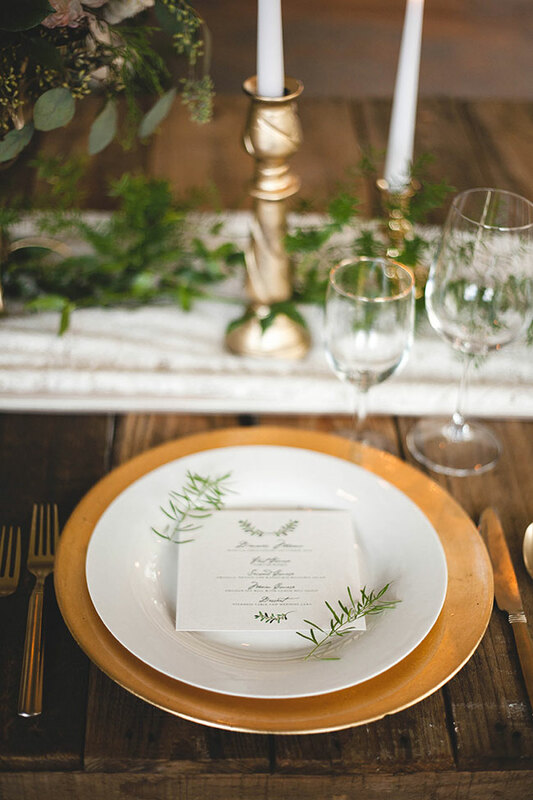 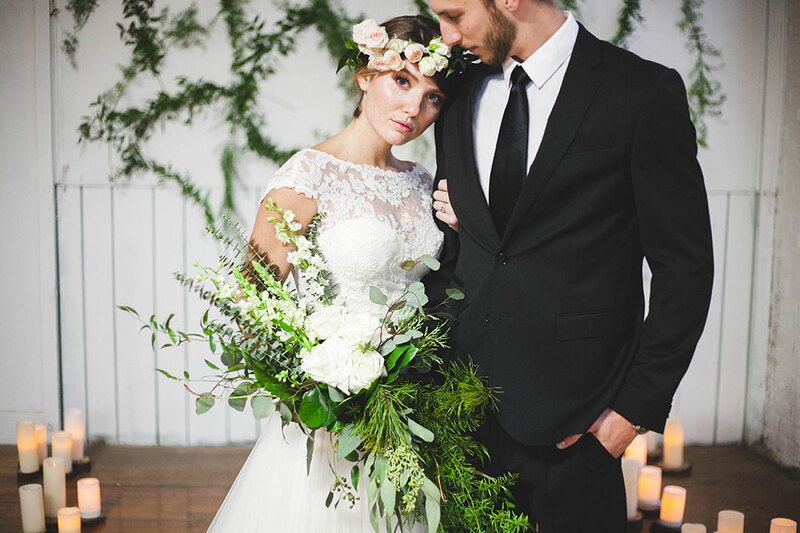 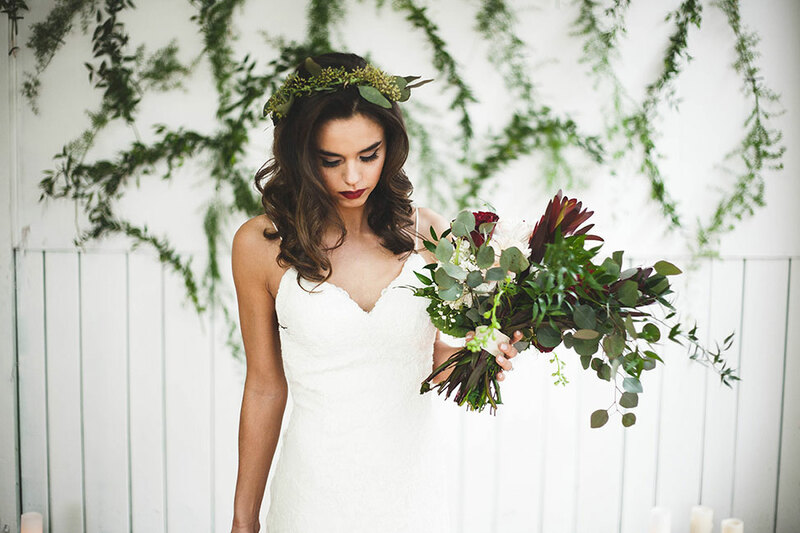 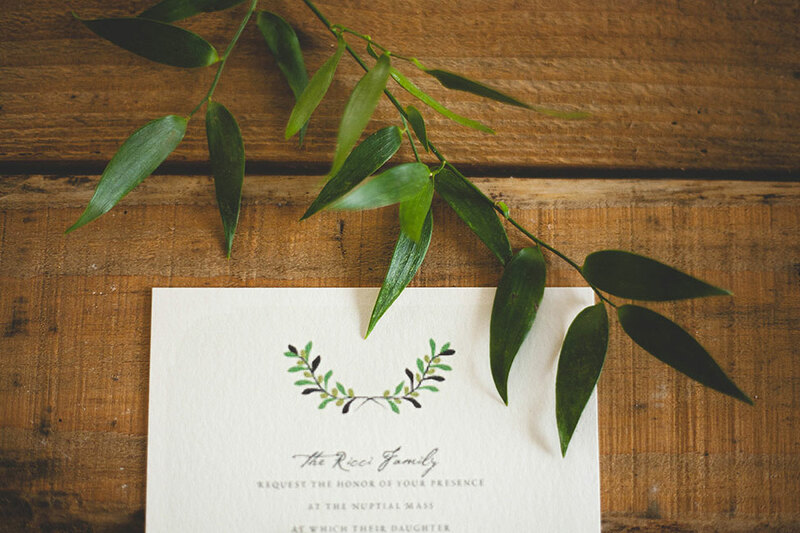 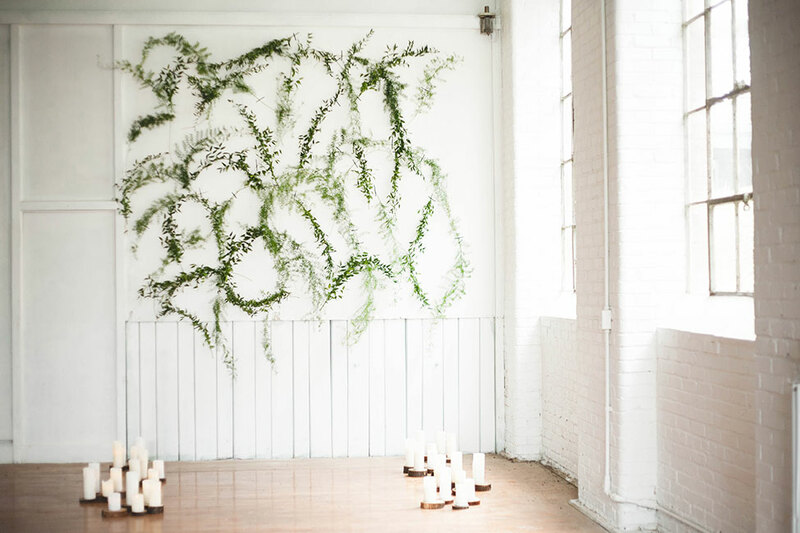 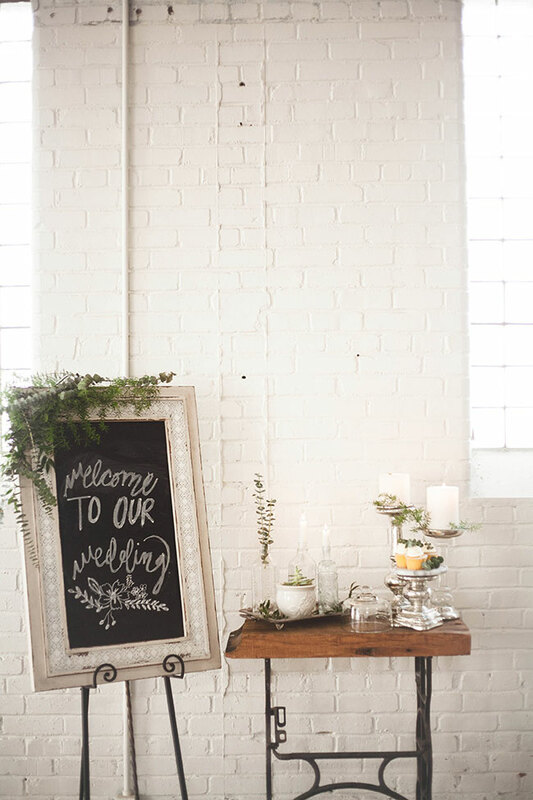 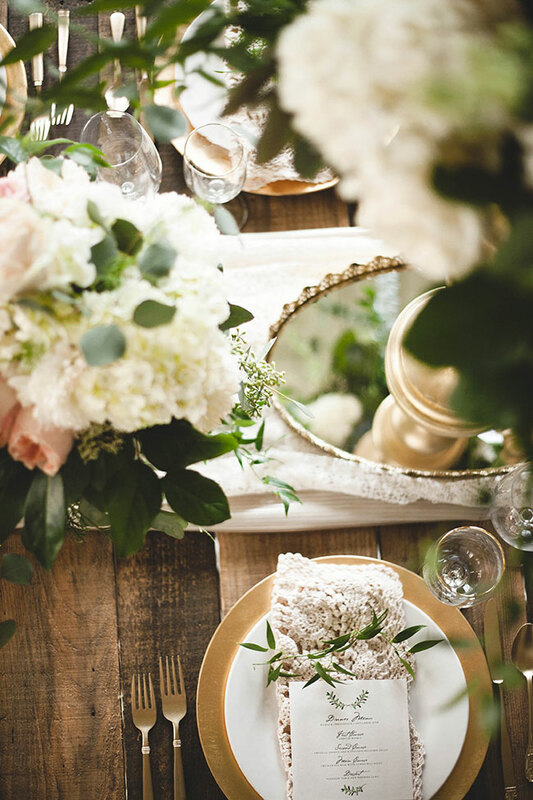 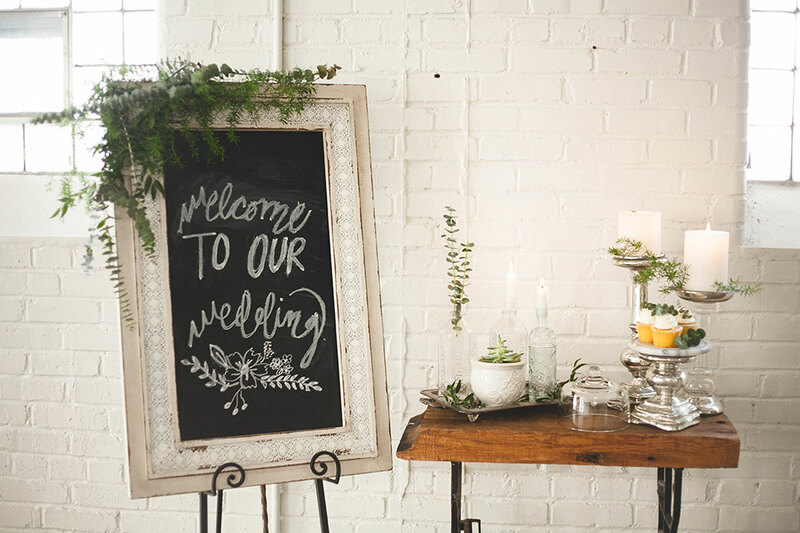 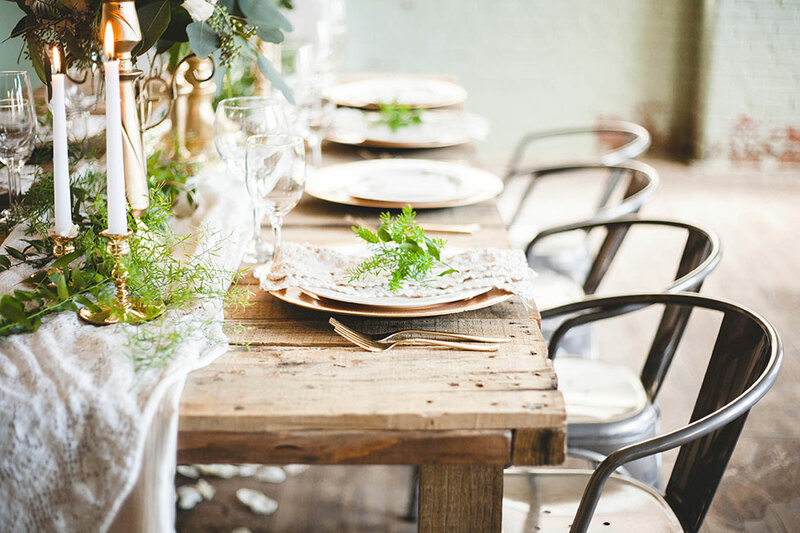 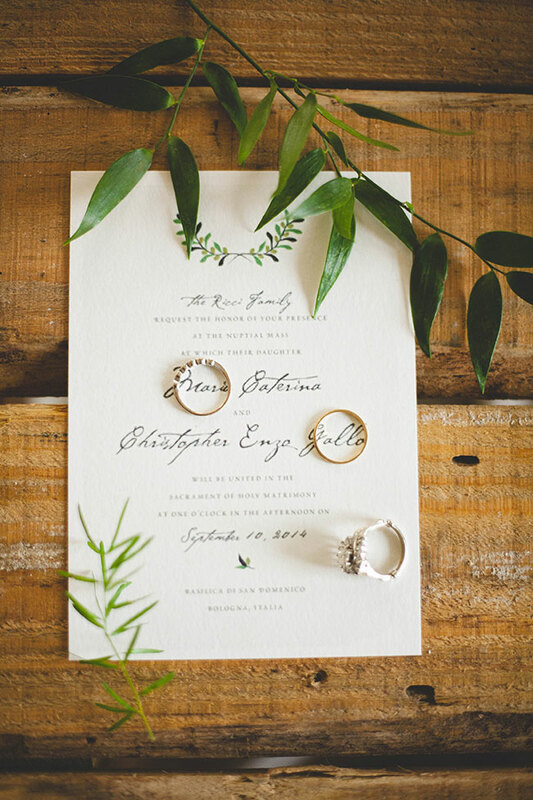 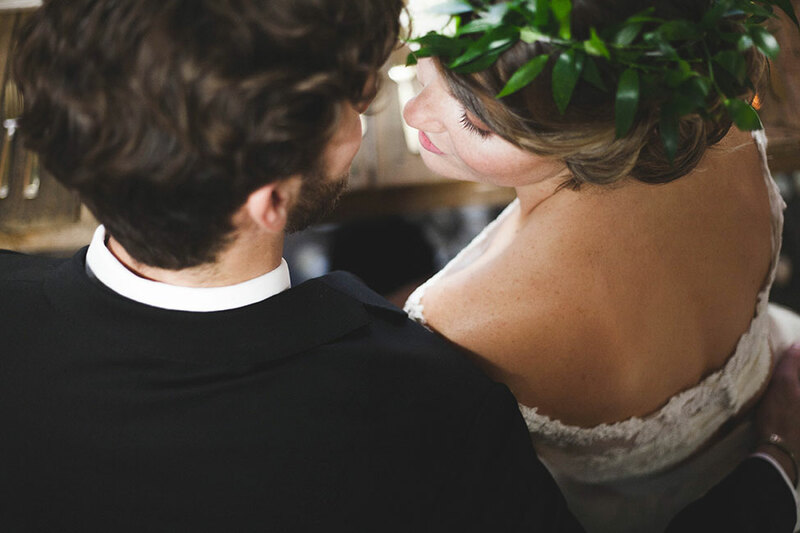 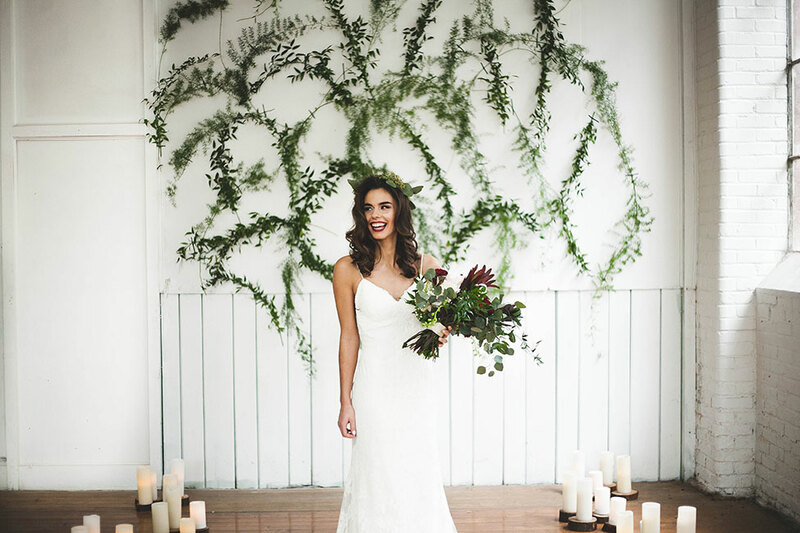 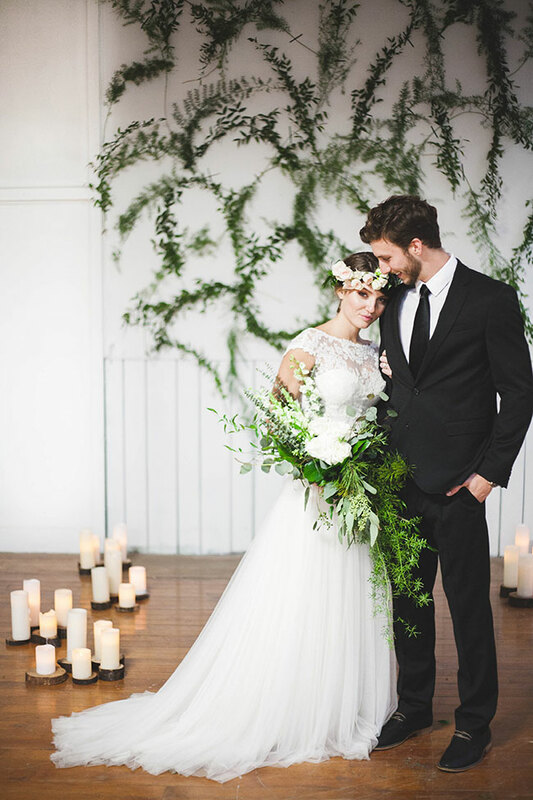 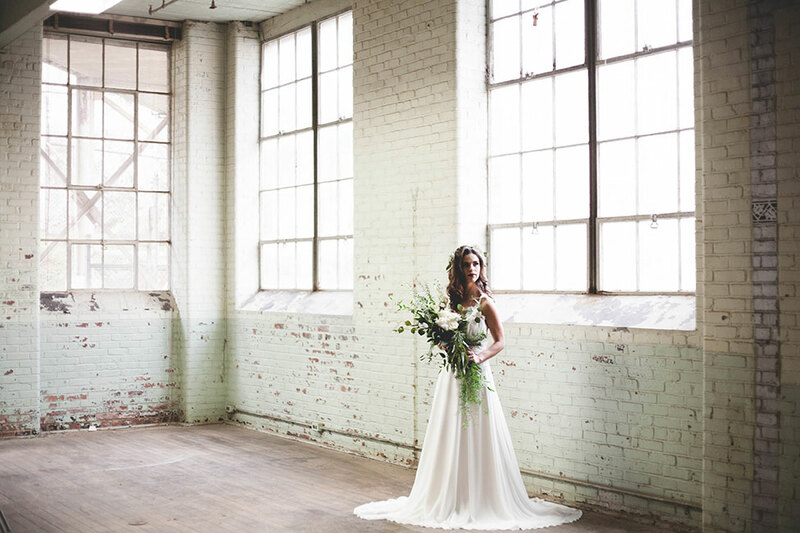 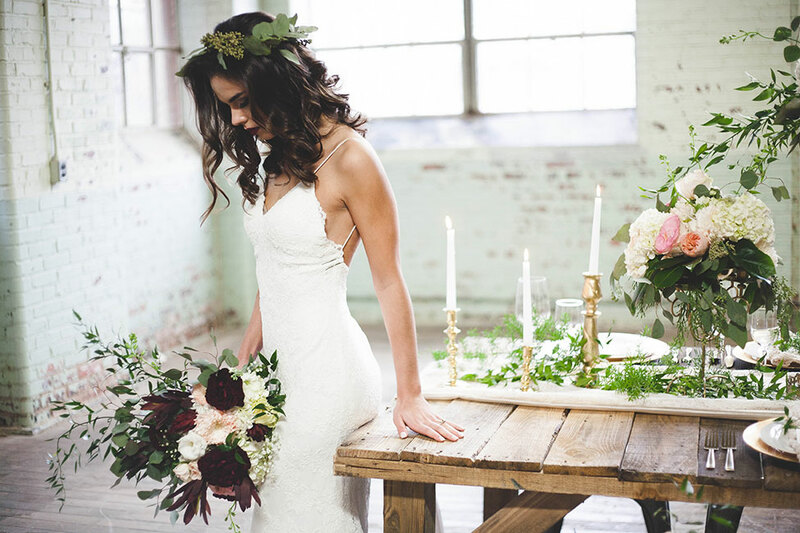 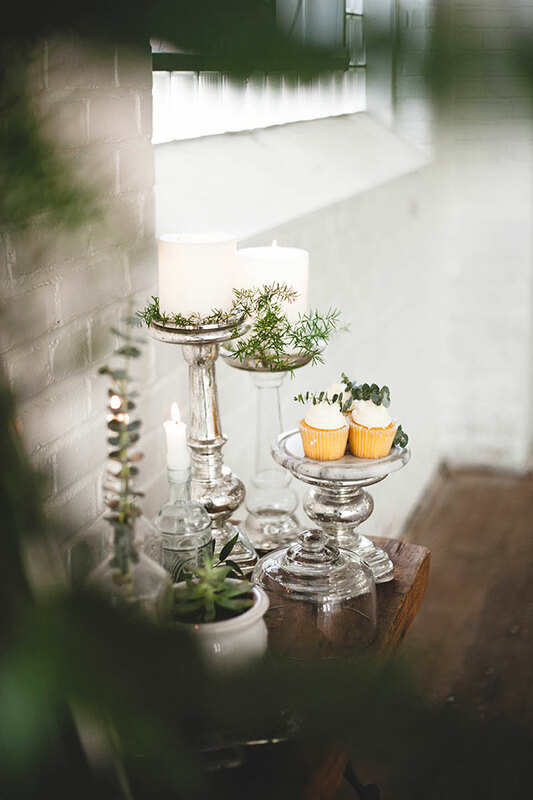 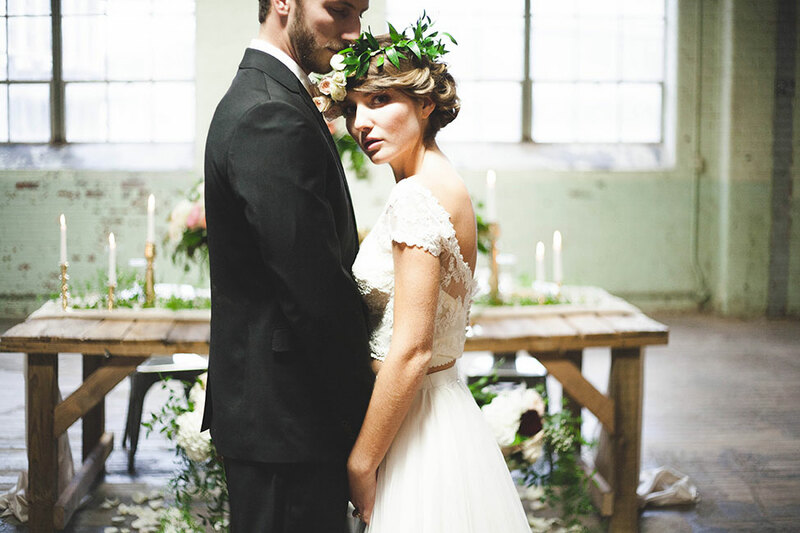 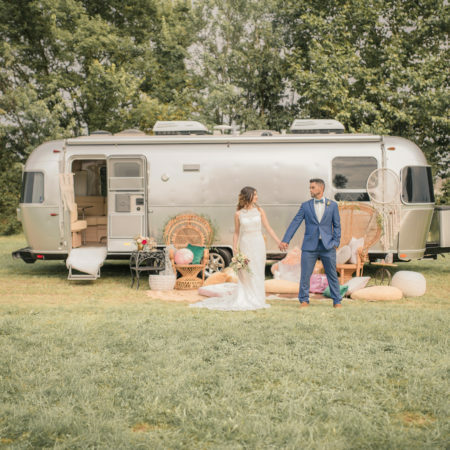 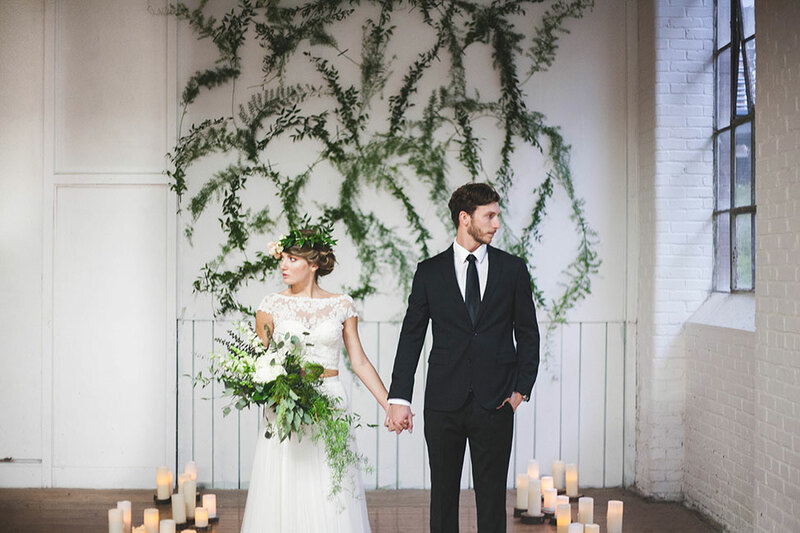 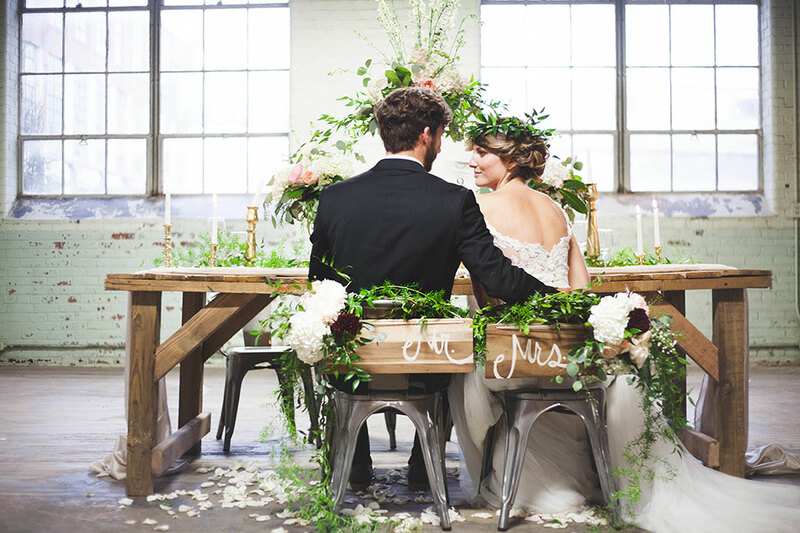 Shoot on location by the artful eye of wedding photographer Anna Duncan Photography at Southern Bleachery, the team crafted a world of sophistication in an eco-chic palette of mixed greens, soft ivory with dashes of pink. 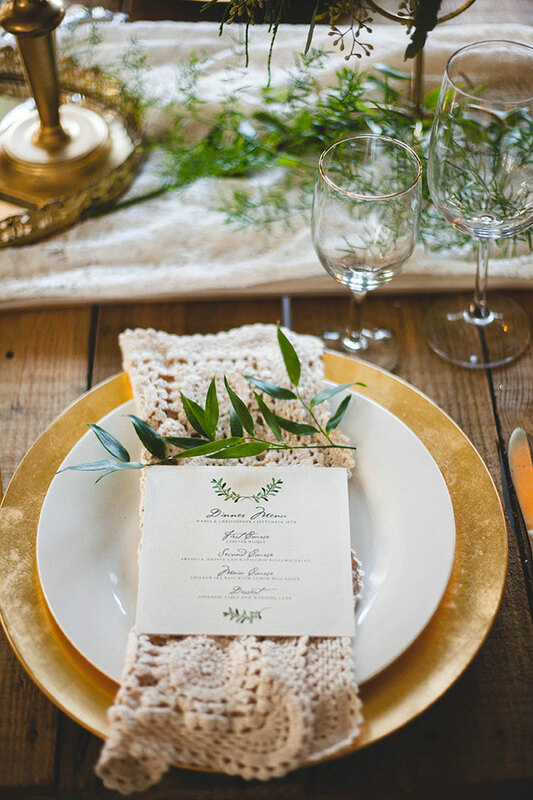 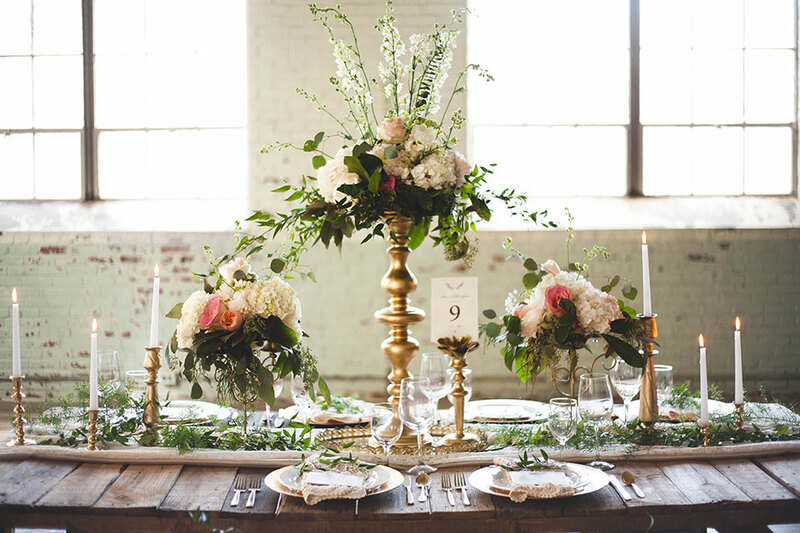 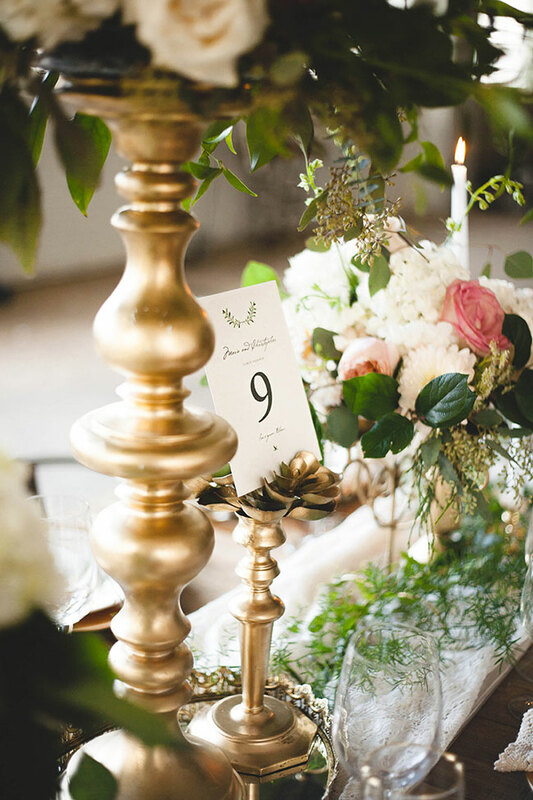 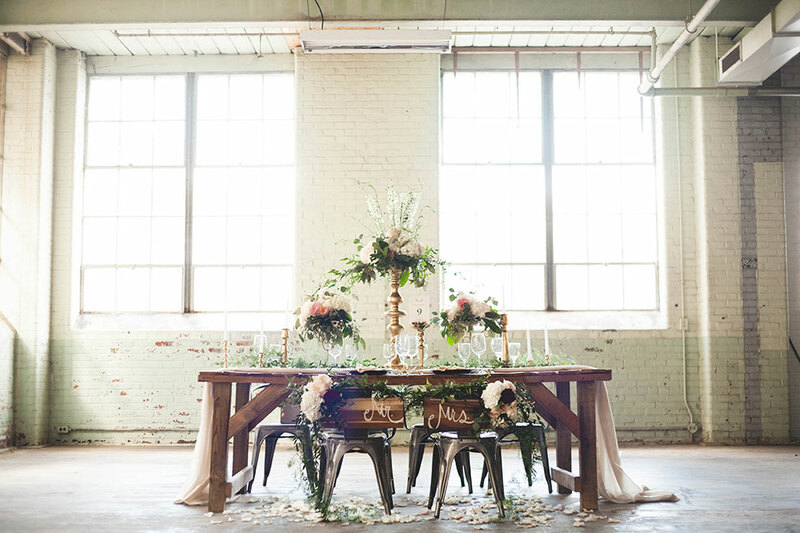 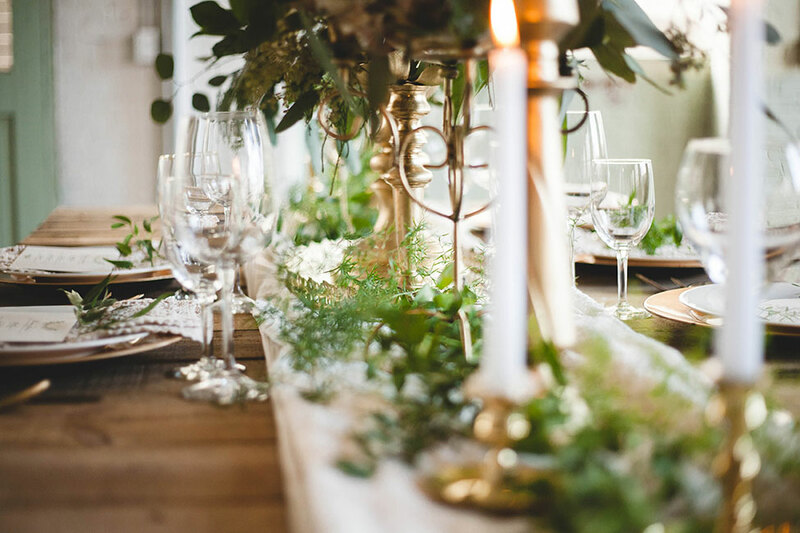 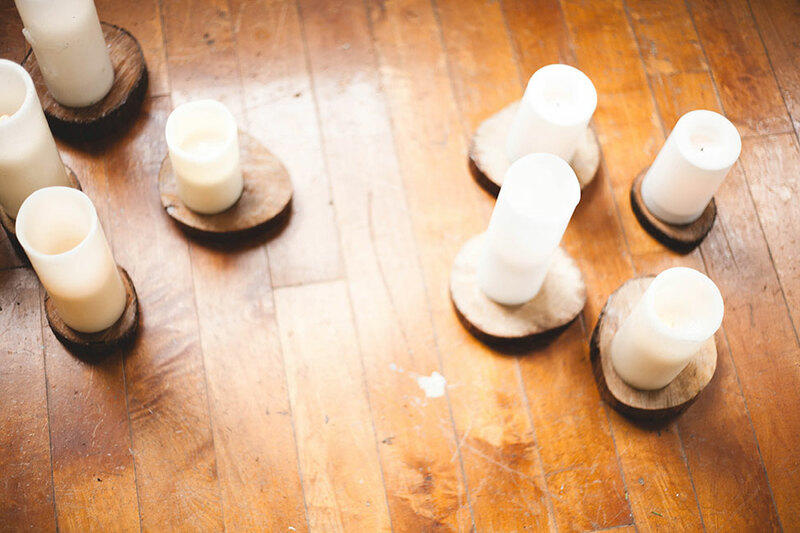 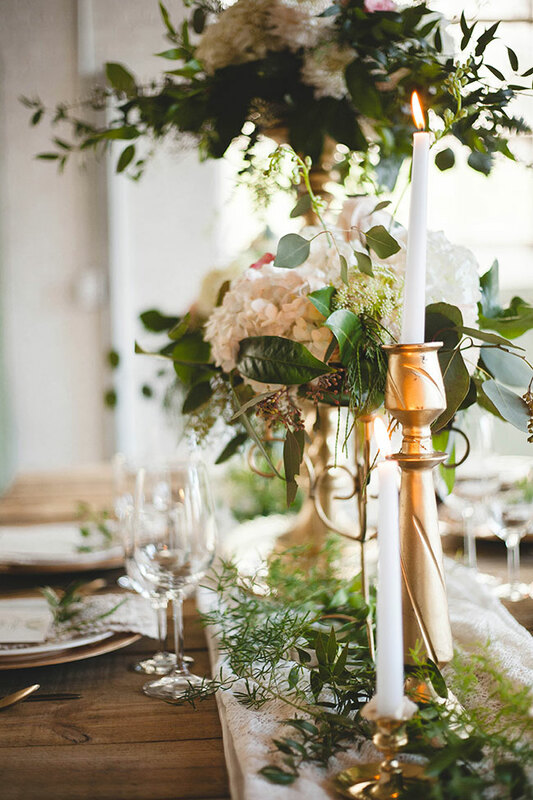 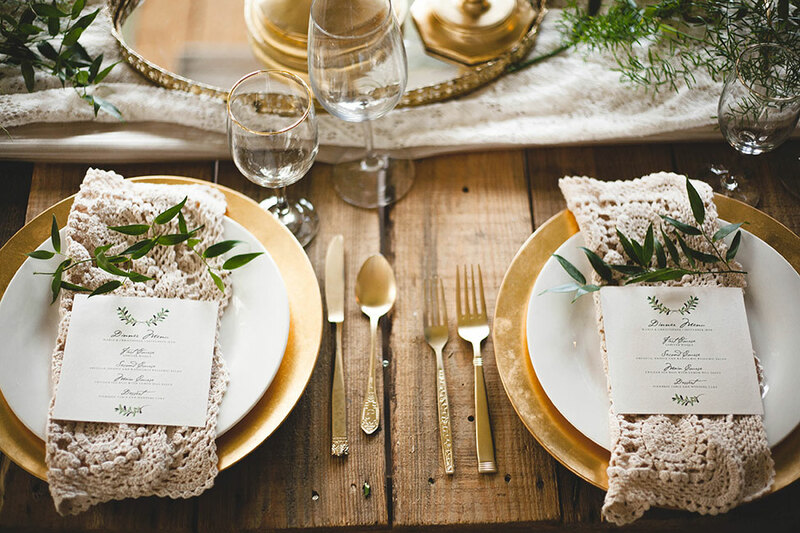 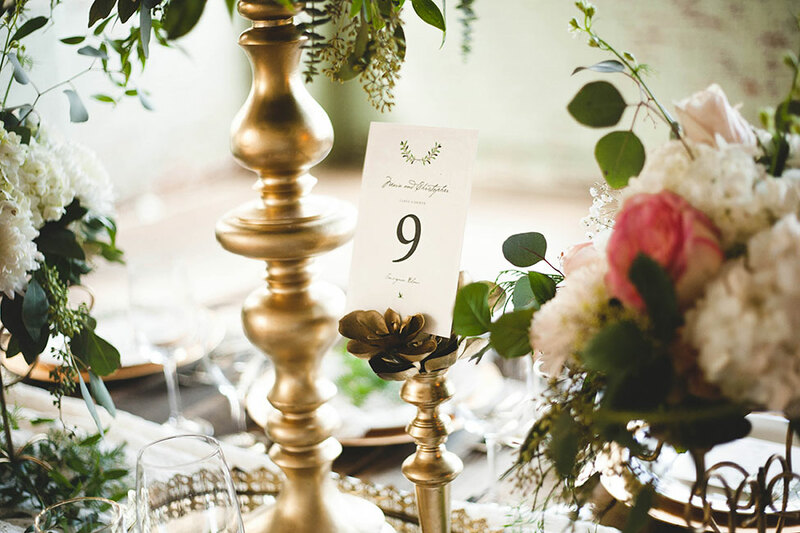 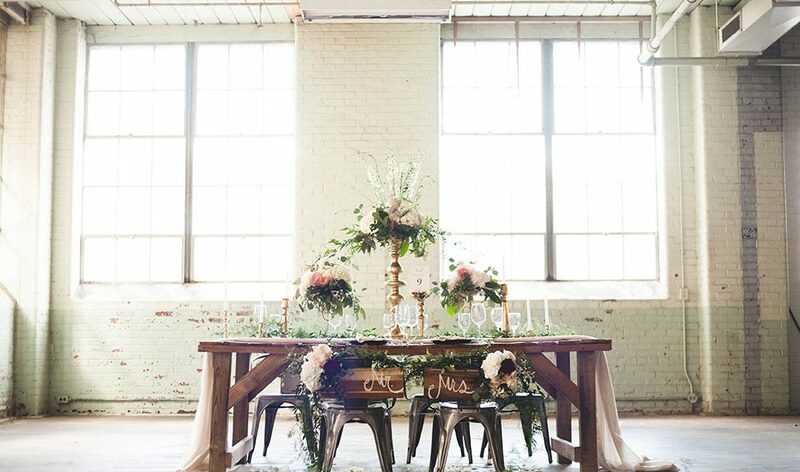 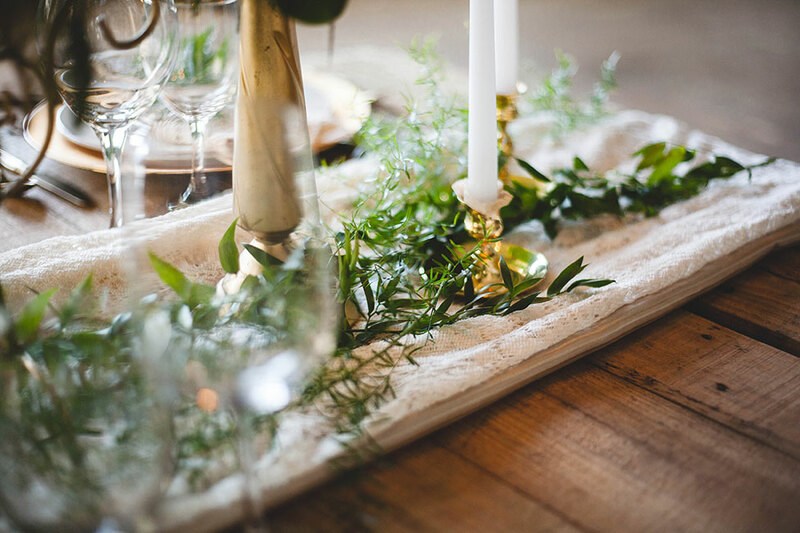 A rustic wood table served as a focal point, set with a tablescape that drew on gold detailing in the form of candle sticks, trays and metal work pieces intermixed with high and low centerpieces, giving the table the perfect amount of drama. 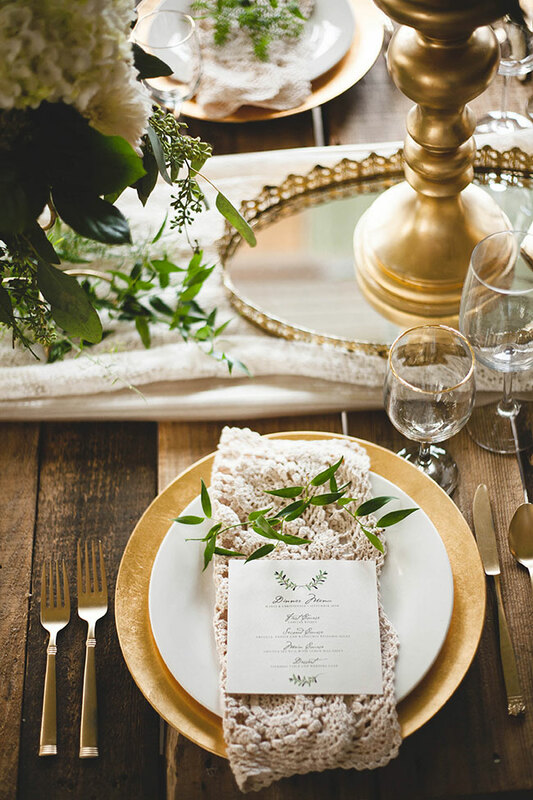 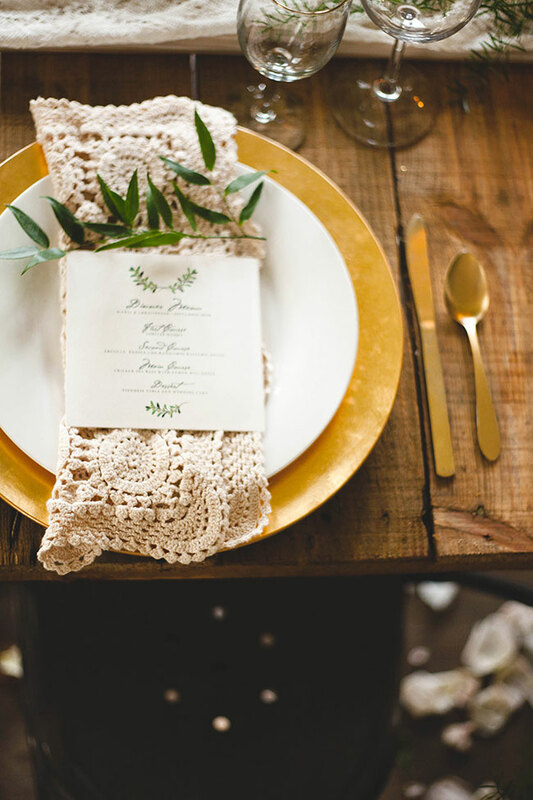 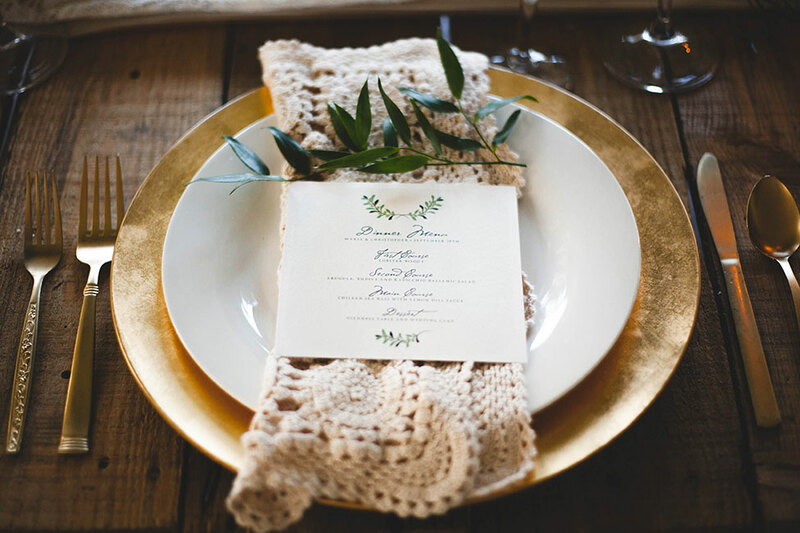 Gold chargers and flatware for each place setting perfectly played off the dreamy tablescape while handcrafted wood Mr & Mrs signs complimented the stately rustic wood table. 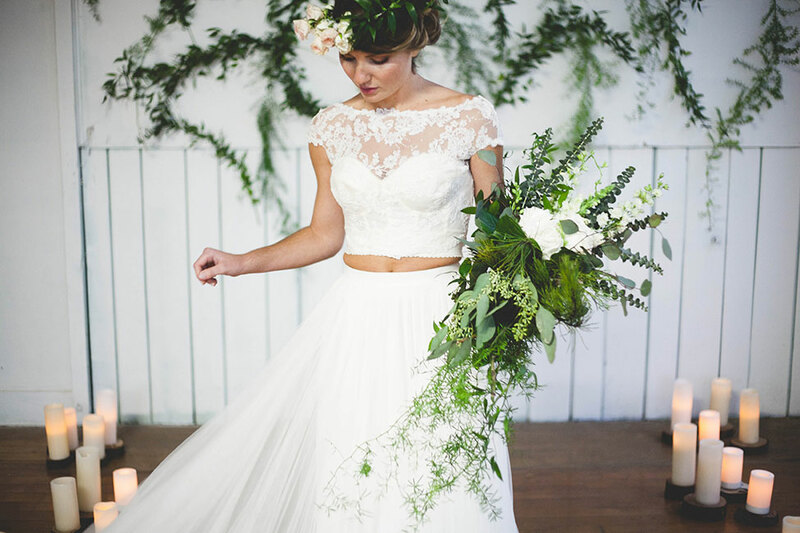 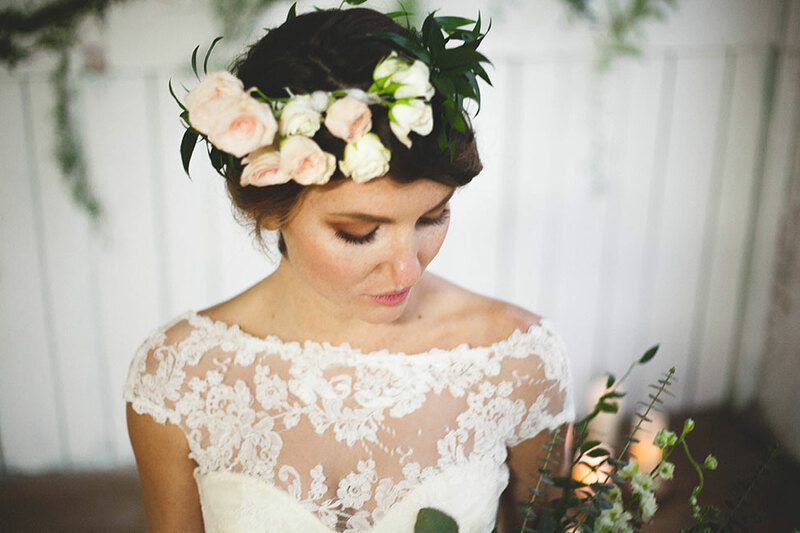 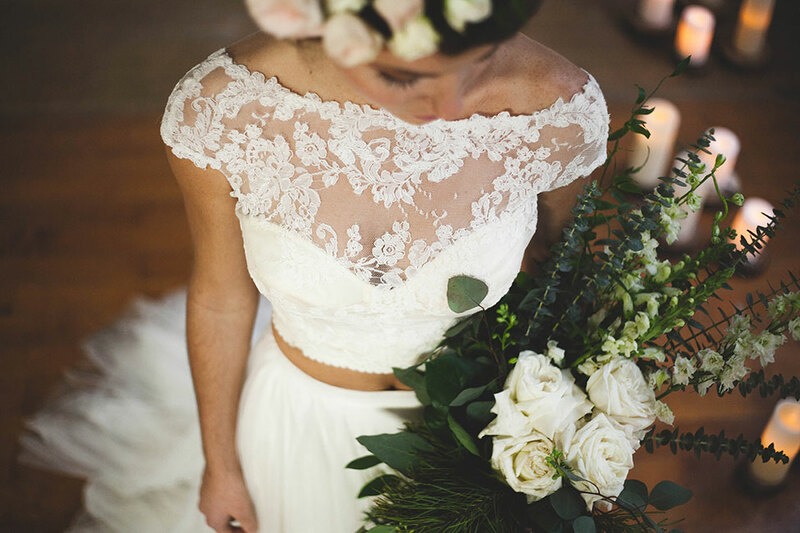 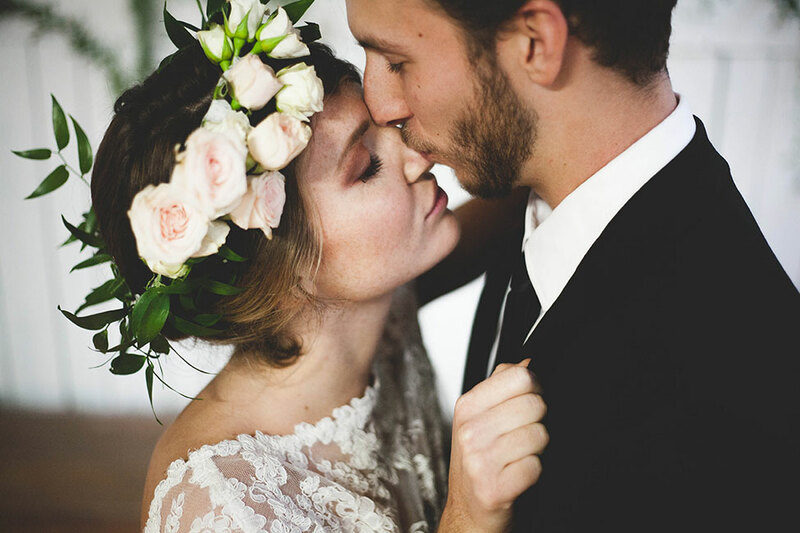 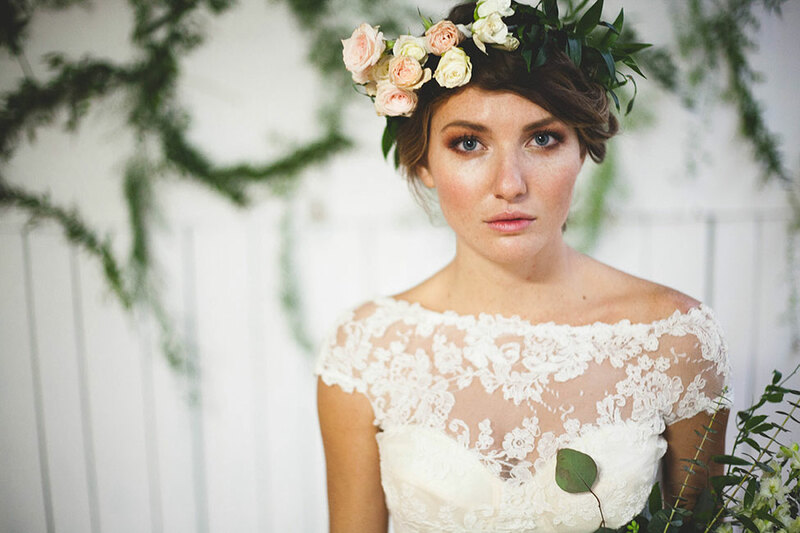 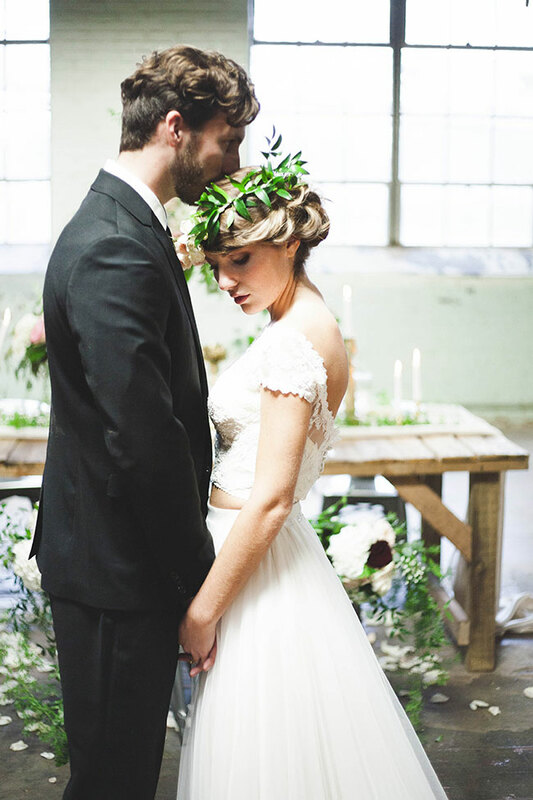 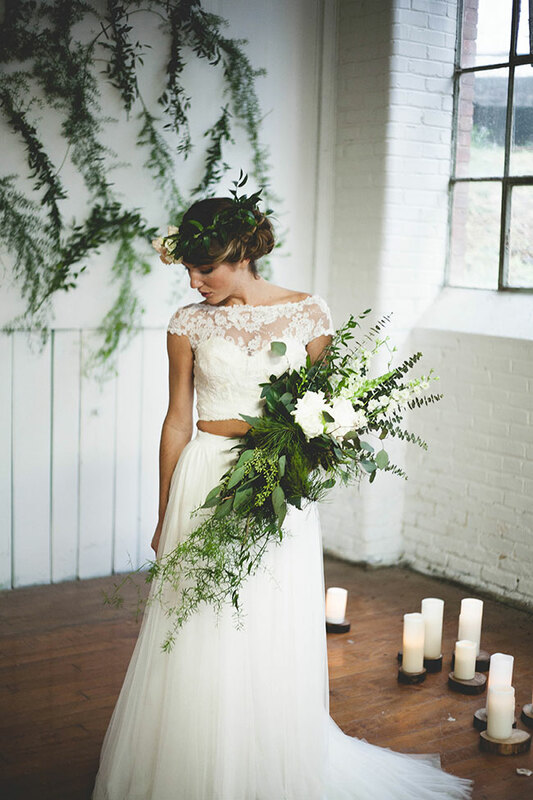 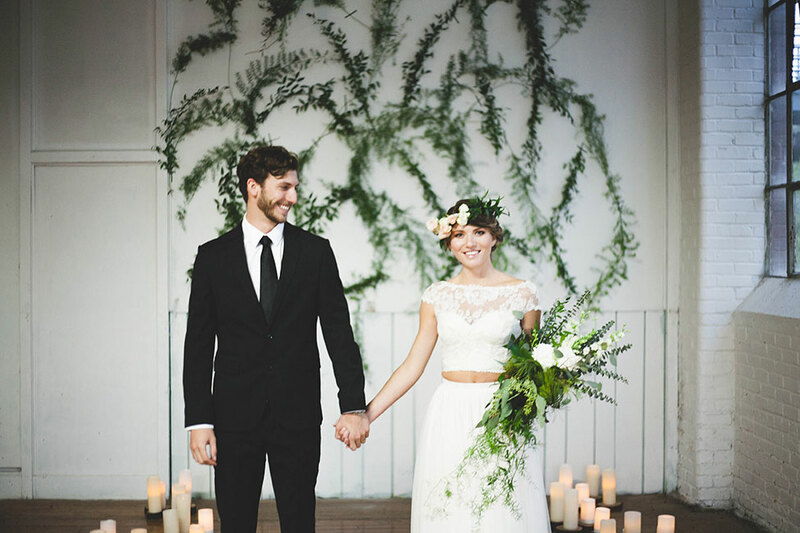 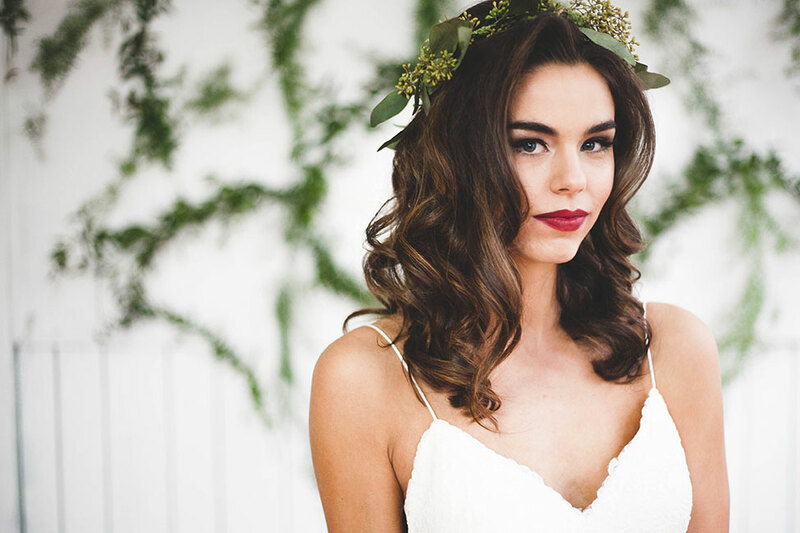 Hair & Makeup Artist Cotton Rouge did a gorgeous job giving each girl a unique yet wonderfully cohesive look that played up the modern boho feel of the open back wedding dresses and gorgeous 2 piece wedding dress creation. 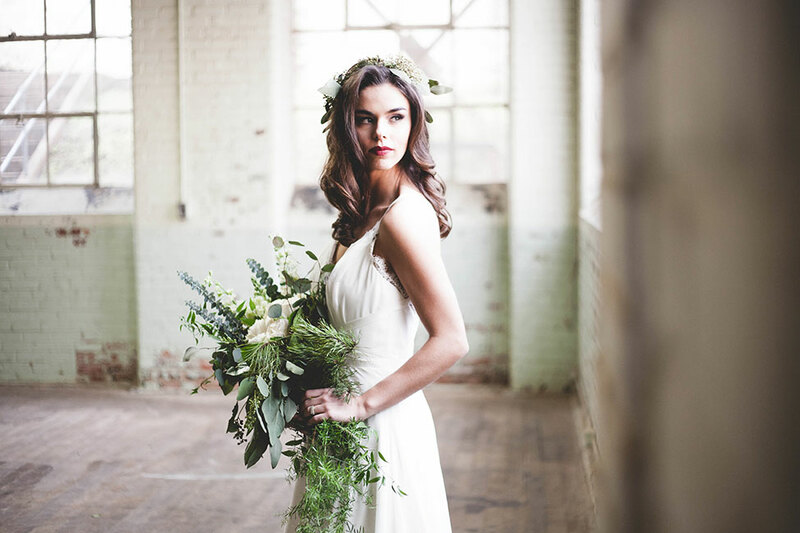 The shoot overall is simply beyond, something I know I can’t wait to pin every moment of and savor!